It seems as if we’ve been posting a lot of flowers here on the I Brake For Stamps blog! What can I say, Summer has hit! I’m coming to you today with yet another card with flowers on it. 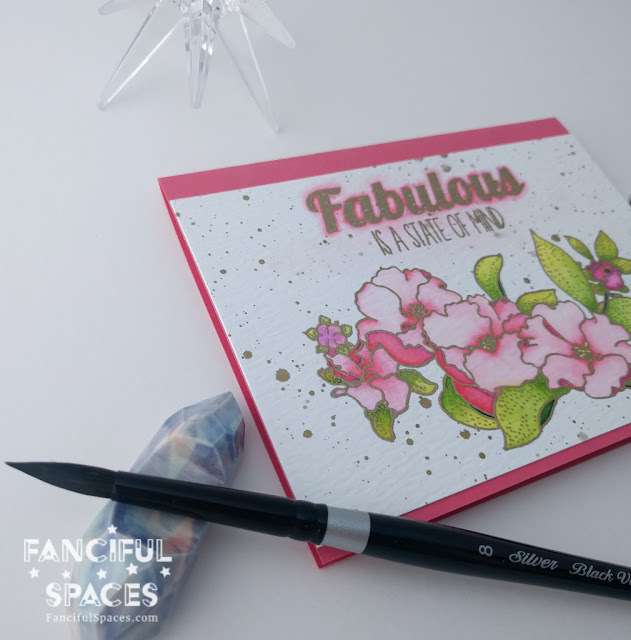 😉 I used the Large Floral Border stamp set to create this bright, fun card! 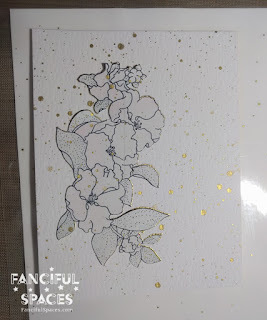 I started by stamping my image onto Tim Holtz water color paper with Versamark Watermark ink, then I sprinkled some gold embossing powder and heated it up. Using various Zig Clean Clear Watercolor Markers I painted the image. 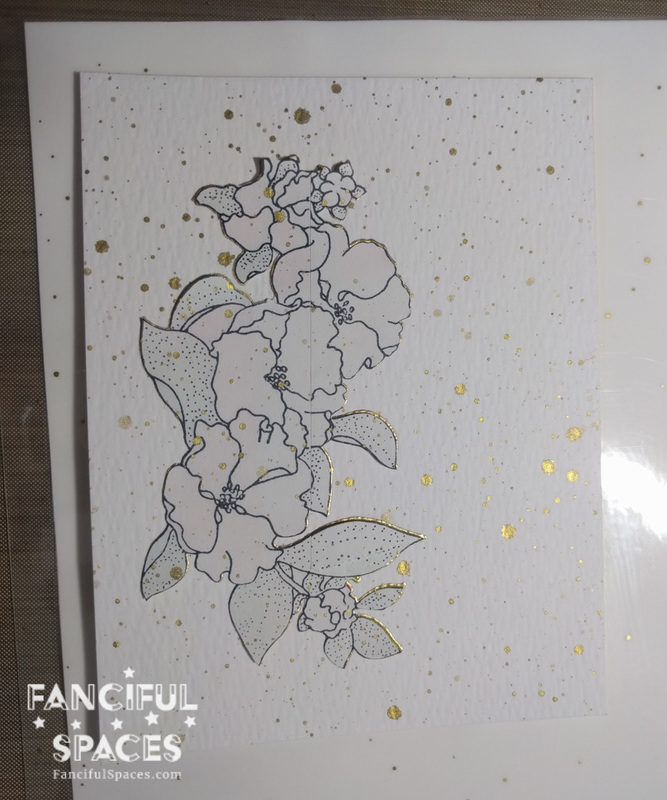 Once I had painted my whole image I cut out a masking of the stamped image and splattered gold paint on my card. This step SHOULD have been done after the sentiment was finished, but I wasn’t thinking ahead. Because of that, I had to be careful of spreading this gold paint when I highlighted my sentiment with more paint. My sentiment was one I rifled through my stash to find. 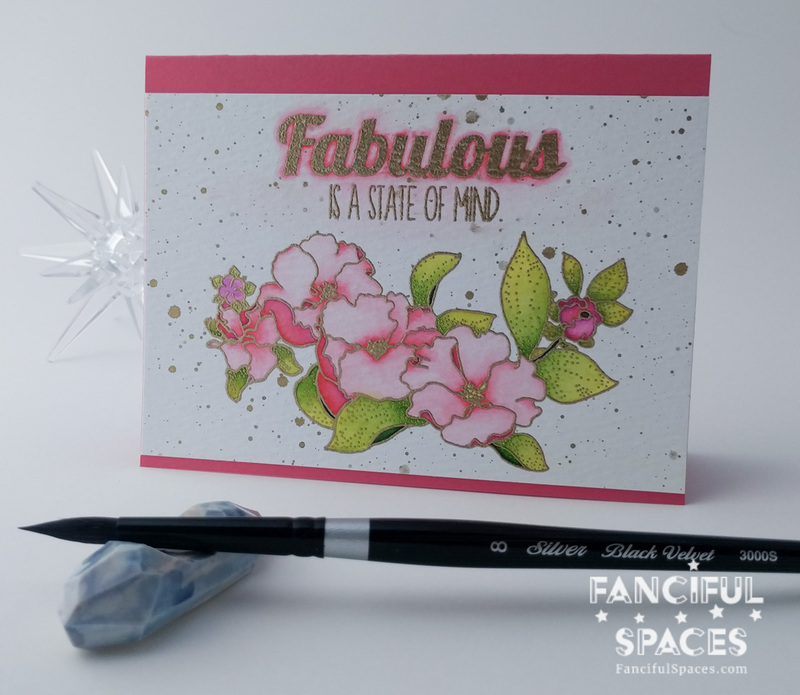 It is from a stamp company that is no longer in business, but the sentiment worked perfectly for this card! I had gold embossed this as well, but it needed to pop out a touch from my card panel. To achieve this, I used some of the same Zig Markers to outline the main sentiment portion. I used the lighter pink and gently brushed it over the smaller portion of the sentiment. The result is subtle, yet it helps just enough. This was a quick and easy card to produce, and it was extremely emotionally fulfilling. I can not wait to send this to someone, I think it would really brighten their day!!! There are SO MANY “flower” stamps on the I Brake For Stamps site! Some are incredibly detailed and others are elegantly simple. Beginner artists as well as extremely experienced will find something wonderful to delight their day! If you wish to place an order from I Brake For Stamps, please feel free to use the discount code SAVE10HANNAH! You’ll save 10% off of your purchase! Thank you for reading, I hope I have inspired you!